Goodbye Good Blog Celebration: Outdoors is Good Are you on Instagram? 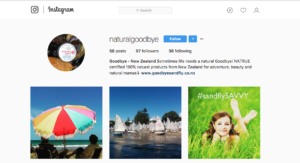 We started @naturalgoodbye on Instagram and would love for you to join us. Launched in July after my daughter joined Instagram and I saw how lovely it is to communicate with pictures. We post photos of outdoor wonder, and fun, products in the wild, and quirky, vital natural living. It is also a great way to see what we are up to on the road, meeting customers like you. 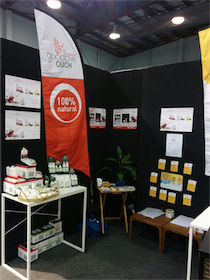 This August we participated in the Whangarei Women’s Lifestyle Expo, a first for us. It was great to talk to so many women over the weekend. We shared information and samples, and we also learned. I heard stories about eczema, headlice, stinging nettle, gluten free, bite reactions, sensitive skin and stroppy teenagers. Not all related to our products mind you, but it was great to hear from so many of you. And it’s great to see the many ways OUCH has helped you. We put together the coolest celebration pack ever. See? 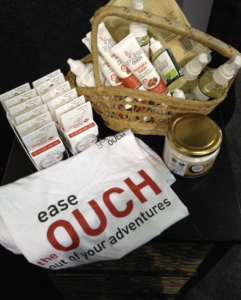 12x Goodbye OUCH Manuka Balm 12g Tins! Entries were via Instagram, the Women’s Lifestyle Expo and email. Previous article Awesome Hair Awareness open for Schools Nominations, and WHOA! The Cookers!